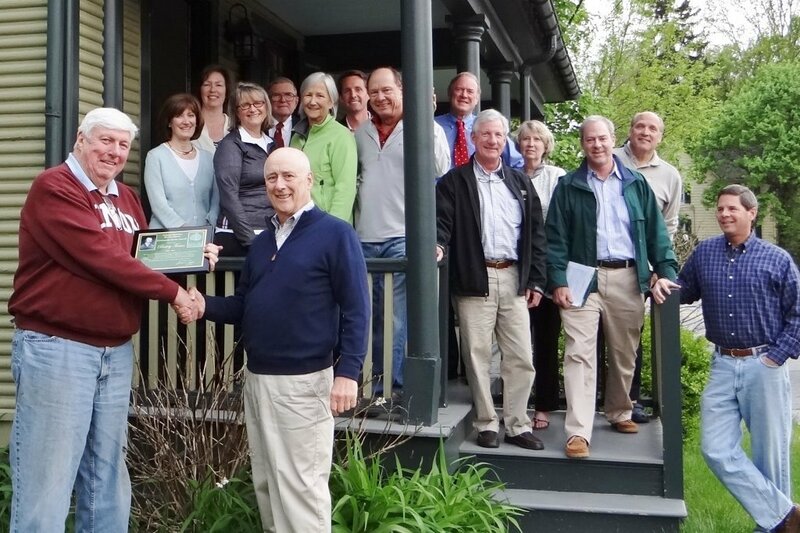 At the May 7 quarterly meeting of the Greater Ruxton Area Foundation, Barry Truax was presented with the Foundation’s Colonel Nicholas Ruxton Moore Community Service Award by Joseph M. Coale, President. The Board of Trustees looks on in glowing approval. Barry served as the Foundation’s first president and in recent years as treasurer. He will stay on the board in emeritus status with a focus on development and publications to ensure our mission of beautification and preservation continues to be articulated. Barry will be succeeded in the treasurer’s role by Sibley Classen.